Being an amphetamine drug, Vyvanse is only available on prescription. However, there are many lisdexamfetamine alternatives, including other drugs or natural supplements. While some of them can be only by prescription, even over the counter alternatives are also available. Why Self-Prescribed Vyvanse Equivalents Can Harm? Vyvanse is an expensive drug and the actual generic version is not yet available. There are many medications similar to Vyvanse that work as analogs and provide a viable and effective alternative. As Vyvanse contains lisdexamfetamine as an active ingredient, Vyvanse dosing chart is used to select the best supplement drug and its dosage. Cheaper alternatives to Vyvanse serve as a substitute and can be amphetamine-derived having largely similar effects. Provigil has modafinil as the main ingredient. It is a non-stimulant medication that is a cheaper alternative to Vyvanse. It helps to reduce excessive sleepiness and improves alertness. 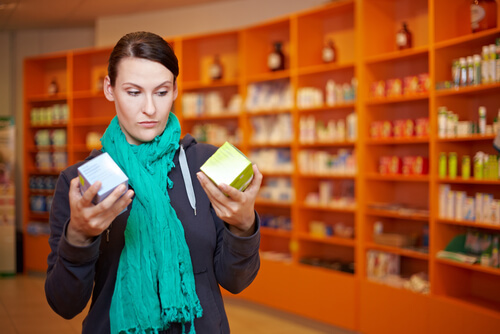 As generic versions of Provigil are also available, they are even easier on the pocket, though Provigil is not available over the counter. Adderall contains dextroamphetamine, another form of amphetamine. Considering lisdexamfetamine vs Adderall, both have a similar mechanism of action and are equally effective. However, what works with one person may not work with others. The Vyvanse to Adderall conversion is not straightforward and depends on the kind of Adderall used (short-term effect or extended release form). Ritalin contains methylphenidate that is also an amphetamine. It is available in different forms, including liquids. Ritalin should not be taken more often than prescribed, especially by people with heart problems. As Vyvanse, Ritalin is not available OTC. Concerta is similar to Ritalin and is an amphetamine drug but is only available extended release. Considering Concerta vs Vyvanse, Concerta works within an hour and is effective for as much as 12 hours. Vyvanse takes between 1.5-2 hours to work, while its effects last up to 14 hours. Concerta has generic form, unlike lisdexamfetamine. Strattera is a drug similar to Vyvanse containing atomoxetine but is non-stimulating. It is often used with non-drug therapies or in combination with other drugs for greater efficacy. At the same time, Strattera can cause liver toxicity. Unlike Vyvanse, it is not a controlled substance. Focalin is one of the alternatives used for ADHD. It contains dexmethylphenidate. Like Vyvanse, Focalin is a first-line medication for treating ADHD, but it is not carried by all pharmacies. Focalin also poses additional risks for child health; there are many precautions for Vyvanse for kids, too. Every month, Focalin prescription need to be rewritten by a doctor. Many users may find it as a hassle. Kapvay has Clonidine as an active element. This lisdexamfetamine alternative is effective in treating ADHD but is not a stimulant so may be used in combination with other drugs. One of its benefits is that it is not addictive, unlike amphetamine-based drugs. However, Kapvay can lower blood pressure, so it needs to be taken with caution. While some Vyvanse equivalents are also used for ADHD treatment and disorders like binge eating being the psychostimulants, others are non-stimulant posing fewer risks. Many of them have a different chemical structure, as well as the mechanism of action. There are warnings and precautions when using Vyvanse during pregnancy. That’s why a patient should always consult with a doctor to get any other alternative to lisdexamfetamine to reduce risks. If addiction is present, one needs to undergo treatment in a specialized drug rehabilitation center. The patients also use many natural alternatives to lisdexamfetamine which are available over the counter. 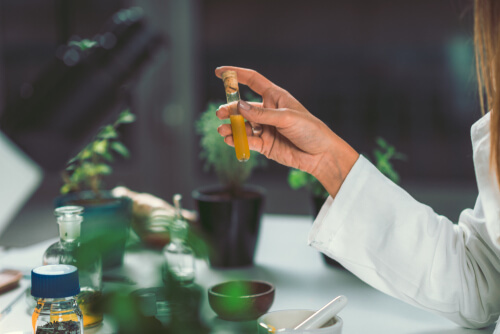 Such factors as the price, side effects, possible health risks, and addictiveness make the natural alternatives better options. The natural Vyvanse substitutes have few or no side effects and are available OTC but may need some experimentation regarding frequency and dosage to see their efficacy. Gingko Biloba is a herbal remedy which helps to improve memory and cognition. While medical experts are still out on whether it helps with ADHD or not, this Chinese herb is known to boost memory according. L-Theanine is a naturally occurring amino acid found in green tea, L-Theanine has a calming and relaxing effect. Rhodeola Rosea is commonly known as the arctic or golden root; this herb helps reduce stress, burnout, and fatigue. Thus, it can help with ADHD though further studies are needed. Bacopa Monnieri – this herb, called Brahmi in Ayurveda, is known to improve memory and cognition in the elderly, though its mechanism of action is not fully understood. Phosphatidylserine is the amino acid derivative which helps improve brain function, memory, and stress relief as a study shows. Many agree that it is an effective natural substitute to Vyvanse and is an over the counter remedy. Other natural and cheaper lisdexamfetamine equivalents that can be used for ADHD treatment are Huperzine A, Alpha GPC, Omega-3 Fish Oil, 5-HTP, and GABA. They are easily available OTC as supplements in the stores and even online. ADHD patients and others can also benefit without taking any Vyvanse alternatives. All they need is to follow a nutritious diet that is rich in complex carbohydrates, avoid simple and refined foods, get enough sleep and rest, and keep a work-life (or school-life) balance. Various stress management techniques and some physical exercise along with counseling also facilitate a long way in maintaining a healthy body and mind. Drug alternatives to lisdexamfetamine can be amphetamine derivatives which often are the first-line medications for ADHD treatment. At the same time, such substitutes as Strattera is a second-line drug in this case. Both central nervous system stimulants or non-stimulants are often effective and prescribed by doctors. That’s why knowing what Vyvanse medication is, it is easy to find analogs. If lisdexamfetamine is too expensive, the user can choose one of many its analogs which work similarly, are available OTC, and have the generic forms making them more affordable. 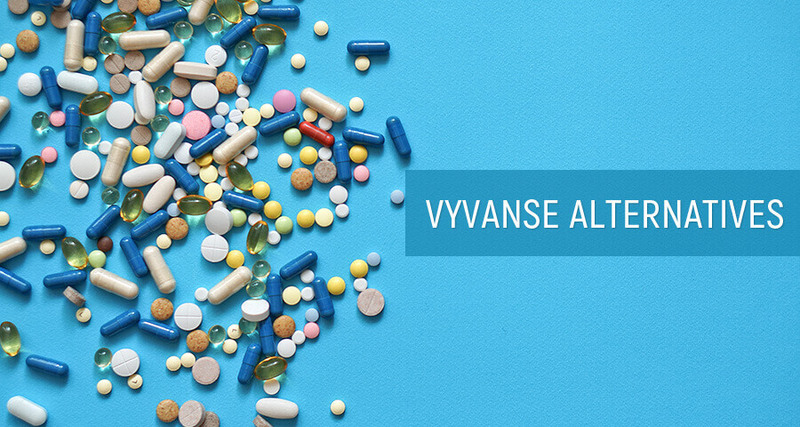 At the same time, being prescribed to Vyvanse, it is important to follow a doctor’s recommendations and not to seek other alternatives without consulting. Taking any lisdexamfetamine alternative without prescription may have adverse negative health consequences. Thus, no self-diagnosis or self-prescription is recommended. If a patient experiences any addiction symptoms, it is critical to consult with a doctor to get professional addiction treatment.